Comparing the fire progression map with areas of fuel modifications reveals several striking patterns in the growth of the Hayman Fire. Most notable is the adjacency of much of the final fire perimeter with the boundaries of fuel-modified areas, suggesting that they may have helped prevent further fire spread. On the other hand, equally striking is the June 9 run over 60,000 acres that included several areas of fuel modifications with little apparent effect on fire severity. 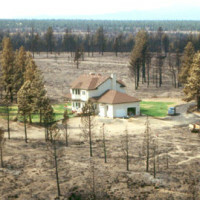 The results of the quantitative assessment indicate that fuel modifications generally had little influence on the severity of the Hayman Fire during its most significant run on June 9. However, there was some variability among the different types of fuel modification, with prescribed fires and other surface fuel treatments that seemed to be most effective at changing fire severity and behavior. 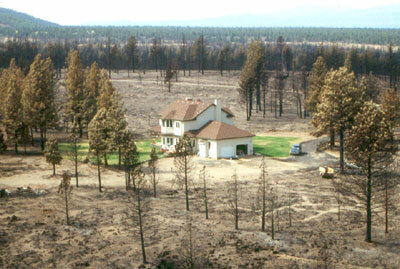 Angel Fire Wildfire Protection Plan – Are we being treated as IDIOTS?